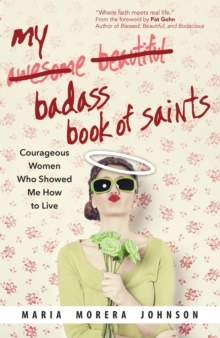 Award-winning author Maria Morera Johnson follows up her bestselling book, My Badass Book of Saints, with a unique and daring exploration of the cardinal virtues through the saints and heroines of science fiction, fantasy, and comic books. Johnson will reignite your passion for your faith as she demonstrates the heroic in the sometimes mundane quest for good and reminds us that Catholicism is filled with adventure. 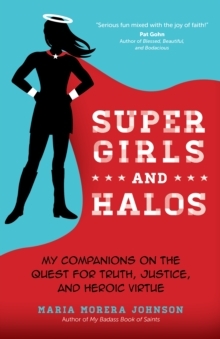 Johnson now focuses on heroines-improbable pairings of saints and characters from sci-fi, comics, and fantasy-who have influenced her life and deepened her understanding of the Church's cardinal virtues: prudence, temperance, fortitude, and justice. What do Wonder Woman and St. Katharine Drexel have in common? How about St. Clare of Assisi and Rey, the ingenue from Star Wars: The Force Awakens? All four women sought justice for the abused. 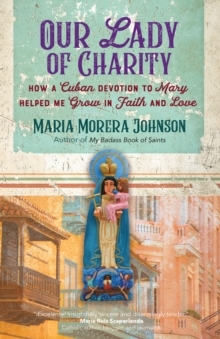 Johnson tells her own story alongside the unlikely pairs to show how the cardinal virtues are at play in our lives as well:Prudence (judgment of right and wrong), which influences Marvel's Black Widow and St.
Mary Magdalene, as well as X-Files agent Dana Scully and St.
Teresa Benedicta of the Cross. Fortitude (courage), experienced by Marvel's Storm and St.
Cunigunde, as well as Harry Potter's Hermione Granger and St.
Marguerite D'Youville. Temperance (restraint of desires), which changes how we understand Katniss Everdeen of the Hunger Games series and St.
Mary McKillop, as well as Nyota Uhura of Star Trek fame and St.
Kateri Tekakwitha. Discussion questions focusing on the cardinal virtues, making it a great resource for personal or group study.